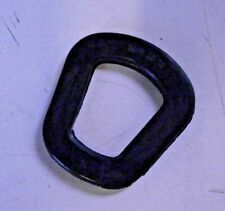 Standard Rubber Seal for Jerry Can Lid or Spout. CarPlan Fuel Can - Petrol 5L. thickness, stress cracking and much more to ensure Carplan fuel cans fully comply with the appropriate. Carplan fuel cans are color coded for safe identification of fuels with easy to use flexible pouring spouts. RIEMPITORE BENZINA/OLIO/GASOLIO 5 LITRI. Riempitore Benzina in Nylon, capacita' 5 litri. Alta qualità richiudibile CON TAPPO, dotato di beccuccio snotato richiudibile. Con scala graduata da 1 a 5 Litri. METALL AUSGIESER KRAFTSTOFFKANISTER , 5L. / 10L. / 20L. Kunststoffkanister. Ausführung: METALL AUSGIESER flexibel Zum Aufdrehen mit Schmutzfang-Sieb im Auslaufstutzen Länge: ca. 30cm Lieferumfang: 1 Ausgieser ohne Kanister . Oder Pannen wegen Kraftstoffmangels. Der FuelFriend-PLUS ist ein ultrakleiner Benzinkanister. der in nahezu jedem Auto einen versteckten Platz findet. in den Wagen legen, der dann oft auch noch unpraktisch. Mit Ausgießer. Das geringe Eigengewicht und der beiligende Ausgießer machen ein kleckerfreies nachfüllen möglich. DKB Profi Benzinkanister Kunststoff 10 l. Der DKB Benzinkanister aus Kunststoff macht nicht nur optisch einen sehr guten Eindruck. 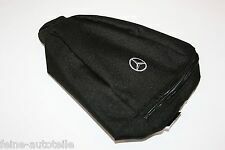 Oeltasche mit Trichter und Handschuhen. ® und TM sind eingetragene Warenzeichen bzw. Leisurewize 23 Litre Waste Water Storage Container Jerry Can. For caravan waste water. Designed in the UK. Unique twin handle design is perfect for pouring. Tent Electrics. Military Clothing. Caravan Accessories. Das sagen unsere Kunden. Geeignet für alle Otto und Diesel Kraftstoffe. Top Beratung. Gut und Günstig. Ihr Vorteil bei DKB24. JA - das ist ohne aufpreis möglich. Lüftungslöcher sichern gleichbleibenden Fluss. Pressol 21131 5L Fuel can. Robust and resistant against impact. Einfülltrichter mit Sieb. - Besonderheit mit Sieb. - komplett aus Kunststoff. die Batterien enthalten, sind wir verpflichtet, Sie auf folgendes hinzuweisen: Sie sind zur Rückgabe gebrauchter Batterien als Endnutzer gesetzlich verpflichtet. FÜR BENZIN UND DIESEL. PASSEND FÜR ALLE PORSCHE MODELLE. 1 NEUER RESERVEKANISTER 5 LITER. h. c. F. Porsche AG. Noryb 5 litre steel jerry can, ideal for petrol, diesel, oil, water and other liquids. Noryb 5L Jerry Can. Allows you to transport fuel or other liquid safely without leakage. Outside painted red with corrosion resistant internal lining. Below are the features for25 Litre Jerry Can with Tap-Water Carrier. Channel Islands, Isle of Man, Isle of Scilly, Isle of Wight, Scottish Isles, Scottish Highlands and N.Ireland, Republic of Ireland. Kanister von HP -812881. zum X1-Autoteile. Noryb Jerry Can Holder. 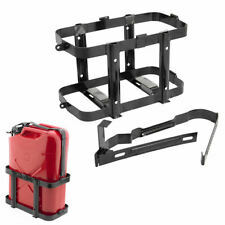 Noryb steel jerry can holder, ideal for expeditions and long distance travel. Accepts 10ltr and 20ltr jerry cans. Can bolt directly onto car from side or bottom of holder. Clasp that allows holder to be locked with padlock (padlock not supplied). Der NO SPILL Kanister ist geeignet zum Betanken von Booten, Motorrädern, Gokarts, Rasenmähern, Rasentraktoren, Motorsensen, Motorsägen, Freischneidern usw. Der Kanister ist für Benzin, Gemisch und Diesel geeignet. Any item can be collected from Nuneaton 4 miles from J3 of the M6. Pour traiter un eau de qualité douteuse, verser 5 mld'Elsil pour 10 litres d'eau, et attendre 30 mn avant de boire. Suitable for petrol E10 compatible. This can is small enough to fit in a top box or in your motorcycle luggage. Eyelets build into the sides of can enable you to fasten the can down securely. Fuel Friend. Bouchon pour bidon VP Racing. Pressol 21137 20l Fuel can. Robust and resistant against impact. Kanisterhalterung für 20 Liter Stahlblech Kanister. Die Halterung kann wahlweise mit. einem Sicherungsstift verriegelt oder durch ein Vorhängeschloss verschlossen. R2 Aufbauscheinwerfer senkrecht schwarz Traktor Scheinwerfer Bagger.29,90 EUR. 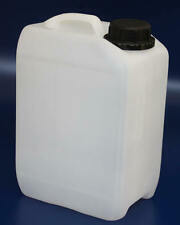 Northants Motorcycle Products : 20L Plastic Jerry Can. Internal Breather Pipe. Flexible Spout. Fuel Can Spout. 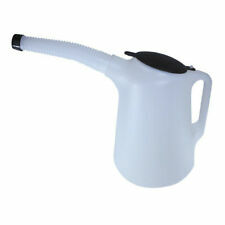 Spout Length: 29 cm. Lo speciale Design a "busta" rende questa tanica maneggevole e sicura oltre che perfetta da trasportare. Una volta vuotata e ripiegata è tascabile. Capacità: 8 litri. PER QUALSIASI PROBLEMA NON ESITATE A CONTATTARCI! Verwenden Sie das GerätNICHT zum Pumpen von explosiven Flüssigkeiten wie Nitro, Benzin oder anderen flüchtigen Stoffen! Das Gerät kann zum Betanken von Maschinen oder Fahrzeugen oder zum Umpumpen von Dieselkraftstoffen genutzt werden. Bouchon mise à l'air libre, Event, pour bidon VP Racing. Tuyau de rechange pour bidon VP Racing. Tuyau avec filtre et bouchon. Weight: 210g. Integrated Spout. 2 ltr Container. 18 mm Opening. TANICA CARBURANTE POLIETILENE DOPPIA 5 2,5 Lt CON BECCUCCIO FLESSIBILE. TANICA IN POLIETILENE RINFORZATO AD ALTA DENSITA' DOTATA DI IMBUTO FLESSIBILE. IN CASO DI GRANDE CALDO NON RIEMPIRE PIU' DI 3/4 DELLA TANICA. Il prodotto in foto potrebbe differire in qualche piccolo particolare, il fornitore/produttore può cambiare senza preavviso design e quant'altro senza darne relativa comunicazione, si riserva inoltre di cambiare proprietà tecnica per migliorie il prodotto stesso. Toutes les unités sont testées en 2 étapes pour assurer l'étanchéité. BEC VERSEUR DISPONIBLE. PROFONDEUR: 15 CM. Benzinkanister Stahlblech 5 Liter oliv grün TÜV GS UN-geprüft! EAN: 4750553000090. Farbe oliv-grün (Abbildung kann abweichen). Benzinkanister 5 Liter. Ausführung Benzinkanister 5 Liter. TÜV-, GS und UN-geprüft und zugelassen. Also available in a 20 Litre round design and a 12 litre square design. VP rACING 20 LITRE SQUARE MOTORSPORT CONTAINER/JUG/CHURN - wHITE SKU:3522. 20 Litre ( 5 US gallon) capacity. VP Racing Motorsport containers are made from the highest quality virgin high-density polyethene plastic. 2x Noryb 5 litre steel jerry cans, ideal for petrol, diesel, oil, water and other liquids. 2x Noryb 5L Jerry Cans. Allows you to transport fuel or other liquid safely without leakage. Outside painted green for army/military style with corrosion resistant internal lining. Dunlop 20 LTR Plastic Jerry Can. Nozzle size: 290mm (20mm wide). Canister size: 390mm x 190mm x 400mm (approx.). Steel Jerry Cans are great but they are heavy and can be dented more easily than this plastic counterpart. Material: Kunststoff. Praktischer 10-Liter-Kanister mit flexiblem Füllschlauch, damit Sie nie wieder etwas verschütten müssen. Farbe Kanister: schwarz. 1 Kanister. Senden Sie uns eine Nachricht. Farbe Füllschlauch: gelb. • Can be filled from a UK petrol station. The Fuel Friend PLUS is one of the smallest fuel filler tube compatible fuel containers on the market. 1 litre red fuel can. Fuel Can FuelFriend. • E 10 fuel compatible.